So remember to ever be grateful…"
If you enjoy dystopian science-fiction you’re going to love this book! I am Legend meets The Passage, with a healthy dose of Daybreakers. The world is stable once more, or so it seems. But one by one, ecosystems continue to fail. All hope rests on a scientific discovery in Sydney, but change won’t come without a fight. Winner: Inkshares Publishing Prize, 2016 Launch Pad Competition. Winner: Ridley Scott / Scott Free Guaranteed Option Prize, 2016 Launch Pad Competition. Shortlist: Inkshares The List, 2016. "I highly recommend Batten's unique take on the zombie apocalypse!" "I can already see this on the big screens. And I would watch it." "With no lack of twists, readers will find themselves eager to turn to the next page." "One of the most intriguing premises I've seen." 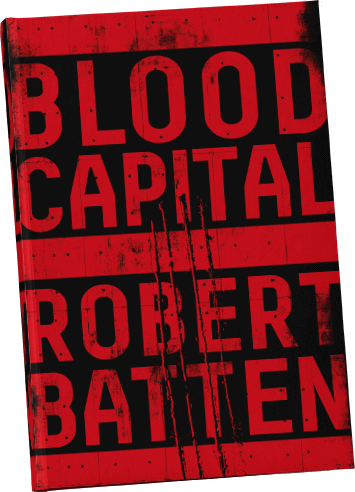 "Robert Batten has written a gem and one most definitely worth buying." "You absolutely need to check out this book."